Tregoo will be with you as a technical sponsor, providing you with items dedicated to your mission. Send us your project, including objectives, description, team, dates, media involved and everything that you think is useful to make us understand why you are unique. We will select the most compelling projects and will organize an online contest to select the best advertures. We will provide for free the required Tregoo technical material to the top athletes or teams and the 30% discount to other "brave" adventirers. The best athletes or adventurers real "extreme" could be selected to be part of the Team Tregoo Extreme, in this case they'll gain total sponsoriship for more years of big challenges! Get financial sponsorship for your adventure, as individual or as a group, as well as the technical equipment of Tregoo. Only the best and most extreme athletes will join the Tregoo Team! 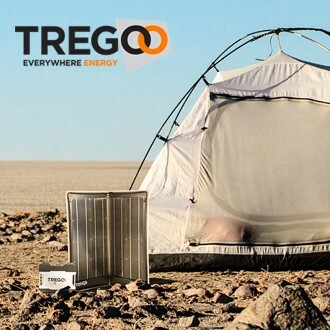 The most rated projects will be awarded with the sponsorship Tregoo Extreme Crew and will get all the Tregoo equipment, as requested to have success in their sportive challenges. Worthy atheletes that don't gain the Extreme Crew, but that will be however appreciated, will enter in the Tregoo Brave Crew and will be able to get the Tregoo equipment discounted at 30%.